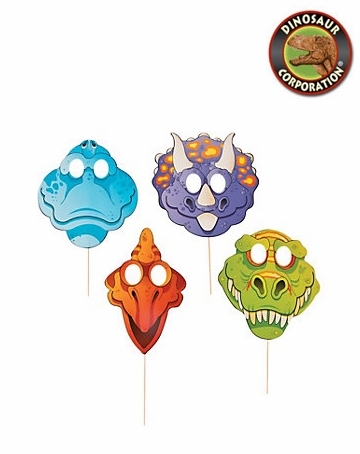 Dinosaur masks featuring T-rex, Brachiosaurus, Triceratops and Stegosaurus will create a lot of fun among the children at your Dinosaur Themed Birthday Party. Dinosaur masks make a great prop for photographed dinosaur birthday, graduation events, weddings, corporate party and kids activity. * Props are cut from heavy duty card stock paper Make your party a hit with these outrageously fun dinosaur masks and create priceless memories.